This Fierce Bull Trophy will bring laughter to your gathering or award ceremony. Just present this joke trophy to the rodeo clown in your group and watch it bring a smile to all those around. With your choice of base color this 4 inch bull is sure to be the highlight of your rodeo. 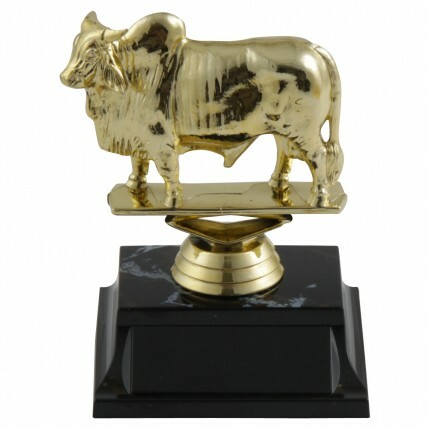 Not just for fun, the gold bull trophy is also a great 4H award! See other joke trophies & animal trophies.